This Memorial Day, we remember the men and women who gave their lives to support and defend the freedoms enumerated in our Constitution, including access to information in our government. May their sacrifice and service be honored across the nation today as families and friends gather to reflect and reconnect. 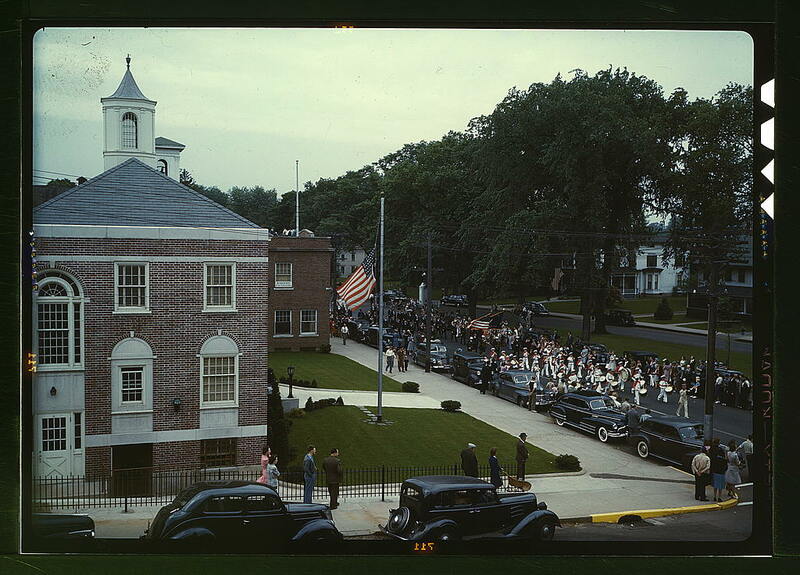 Memorial Day in Southington, Connecticut, 1942. The Library of Congress. June 8th and 9th: Personal Democracy Forum 2017 in New York City. "The annual flagship conference brings together close to 1,000 top technologists, campaigners, hackers, opinion-makers, government officials, journalists, and academics for two days of game-changing talks, workshops, and networking opportunities to celebrate the power and potential of tech to make real change happen." Check out the panels and Learn more about #PDF17 and get your tickets here. June 12th through 14th: Canadian Open Data Summit in Edmonton, Canada. "The Canadian Open Data Summit (CODS) is an annual event where the most pressing challenges facing the open data and open government communities are addressed on a national scale." Learn more here.